A Black Necked Stilt enjoying some quiet time alone in a temporary pond created by spring rains. Soon the pond will be gone and the Stilt will have moved on. Thanks Val, hope your weekend is off to a great start. Such a beautiful bird and photo! Hi Debi, yes Stilts have a type of inherent beauty that is just obvious. Such a delicate yet strong bird. Great photo of a graceful and delicate bird. One of my favorites to watch. We also like watching these delicate long legged birds especially foraging. Hope your weekend is going well. 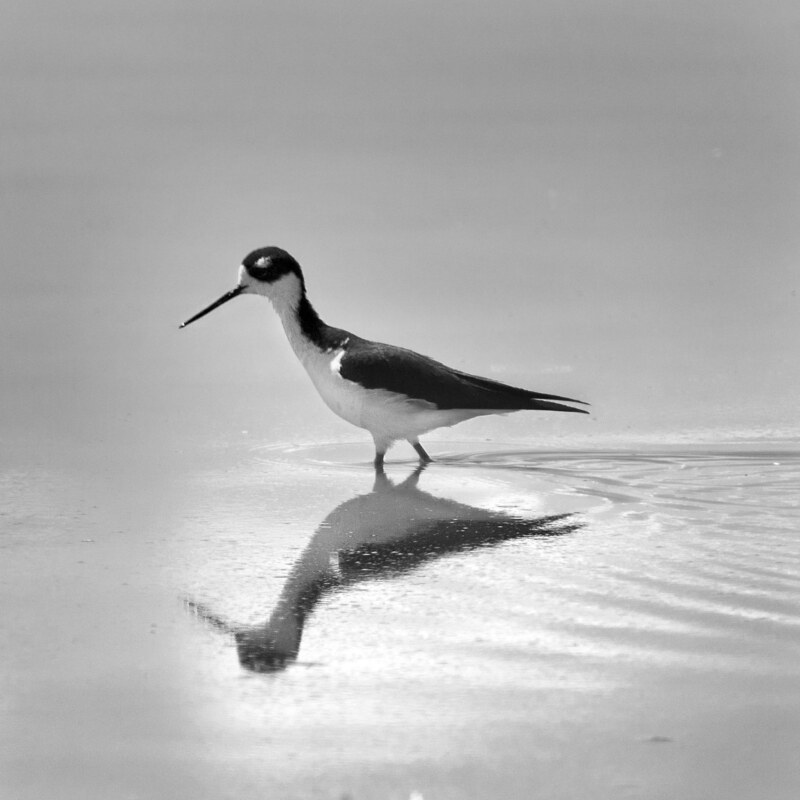 Cindy Knoke captured some great images of the Black Necked Stilt at the Salton Sea. Thanks and thanks for taking the time to leave us a little feedback. We do appreciate it. Super and specially interesting in black and white. That is some photograph! Thanks, Mike.